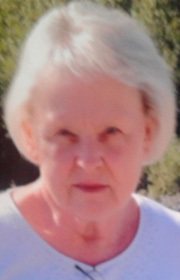 Linda Martens, 77, of Ames, formerly of Fort Dodge, died peacefully with her family at her side on April 5, 2019 at Mary Greeley Medical Center in Ames. Memorial service will be held 2:00 p.m. Saturday, April 13, 2018 at Gunderson Funeral Chapel. Visitation will be held one hour prior to the service. Linda Romelle Matthis, the daughter of Art and Dorothy (Barnhouse) Matthis, was born August 21, 1941 in Fort Dodge. She graduated from Fort Dodge Senior High and attended ICCC. She was united in marriage to George Martens on February 10, 1968. She was employed with Mid State Commodities, NCS Computer Center, Pitney Bowes Office Equipment and, working as Right Of Way agent with the DOT retiring in 2015. The couple moved to Ames in 1991. They enjoyed traveling and Linda was an avid collector. Survivors include her husband of 51 years George, her son Will Martens of Coalville, IA, her daughter Liz Schaeffer of Casa Grande, AZ; grandchildren, Emily, Nick, Jestin and great grandchildren Kale and Hudson; her sister Georgia Bacon. She was preceded in death by her parents Art and Dorothy Matthis and her brother Richard, great granddaughter Gracie.